In 1966, Dr. T. Arthur Babineau opened the fourth orthodontic office in the state of New Hampshire. Dr. Hugh R. Phillis joined Dr. Babineau in 1982. Since that time, Dr. Phillis has provided excellent orthodontic care to serve the needs of children, teens, and adults in the Greater Nashua area, including Amherst, Hollis, Hudson, Litchfield, and Merrimack, with state-of-the-art orthodontic care that blends leading-edge techniques with a warm and inviting atmosphere. Our excellent team is devoted to helping our patients feel secure and confident on their way to receiving the healthy bite and radiant smile they deserve. Because we have been in business for so long, we have treated several generations of the same family. Since they experience a welcoming presence, from first call to the last day of treatment, our patients feel comfortable bringing their children and their children’s children to us for orthodontic treatment. They know our goal is to provide the highest quality of care. We also make sure that in the planning stages, patients participate with us in selecting the most appropriate treatment for their needs. Since they have in-depth knowledge of orthodontics, Drs. 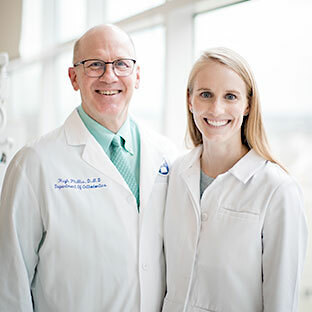 Hugh and Stephanie Phillis provide outstanding clinical expertise they deliver with loving hands. Efficient and short treatment times help to make the orthodontic experience less stressful, which is why our reputation continues to spread throughout the communities we serve. We pride ourselves on delivering on-time appointments and affordable treatment plans. We know that time is precious and have designed special practice hours that should be convenient for everyone. These include potential appointments before work or school as well as during lunch or in the evening. In addition, our orthodontists and members of the staff are always available for emergencies when needed. Serving greater Nashua, Amherst, Hollis, Hudson, Litchfield, and Merrimack, NH, Hugh R. Phillis, DMD continues to be a very active member of the community while he helps children, teens, and adults achieve confidence by gaining optimum oral health.